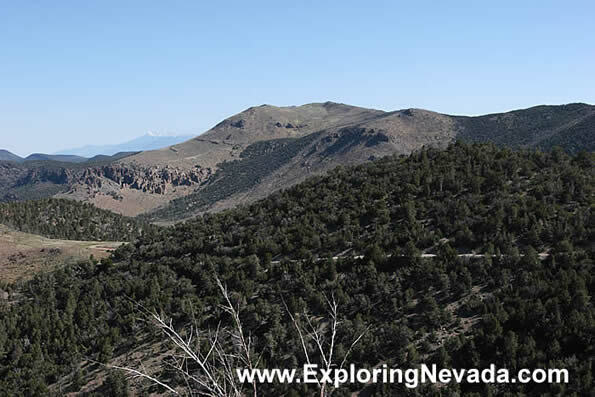 This photo shows some of the higher peaks of the Wilson Creek Range. The photo was taken about midway down the Mt. Wilson Backcountry Byway Scenic Drive and looks to the north. In the far background, the snow-capped Wheeler Peak is barely visible.